Item # 319337 Stash Points: 5,495 (?) This is the number of points you get in The Zumiez Stash for purchasing this item. Stash points are redeemable for exclusive rewards only available to Zumiez Stash members. To redeem your points check out the rewards catalog on thestash.zumiez.com. Complete your skate kit with the Lipper 8.0" Skateboard Deck from DGK. 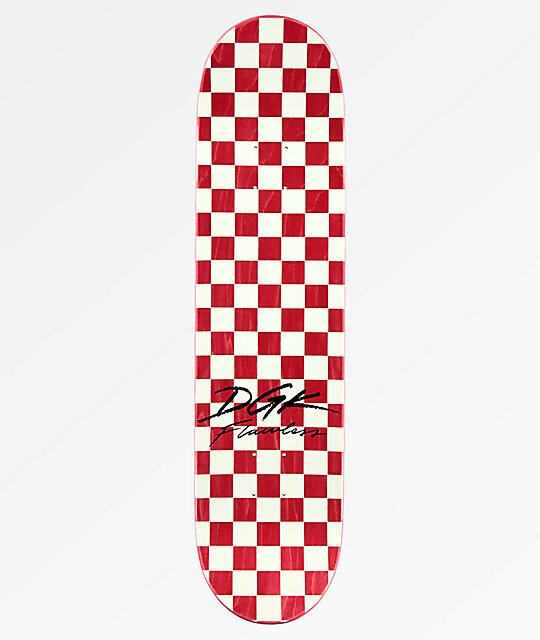 Built with a durable 7-ply maple construction, and displaying a black and white checkerboard pattern with a graphic of pink lips on the underside for a signature design from DGK. Lipper 8.0" Skateboard Deck from DGK.